Excellent condition. Low hours. Looks and works great 36 zero turn wright stander. 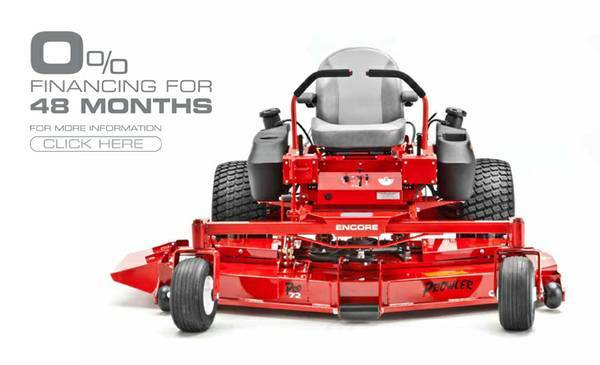 Powerful 17 horsepower Kawasaki engine.Rapid Height to change mowing height on the flyExtras installed and included Side discharge mulching plate that keeps grass from going into mulch beds. 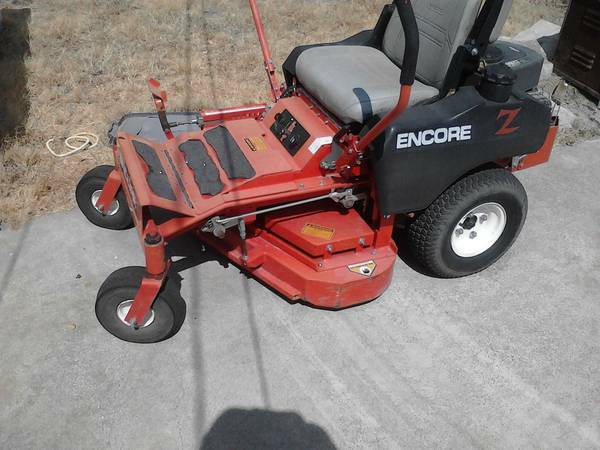 Encore Pro Dart wkawasaki FS600v 18 HP Engine, 34inch cut. 2014 model. 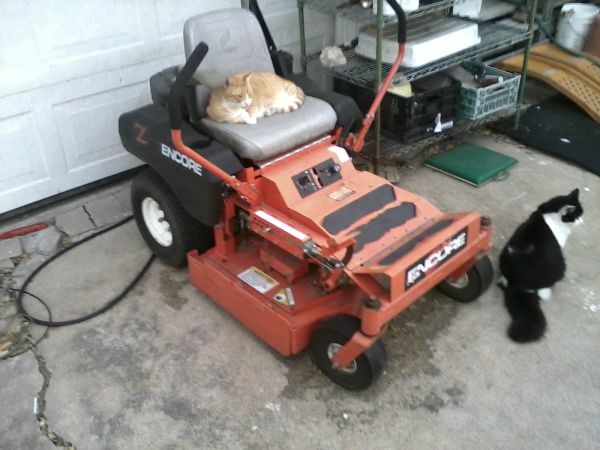 Commercial mower. Less than 5 hours Will post more pictures later.. this is the only picture I have right now.Perfect for the small gates.Cash only, no checks of any kind.